Yesterday marks the 102nd anniversary of RMS Titanic's sinking in the North Atlantic Ocean on April 15, 1912 after hitting an iceberg during her maiden voyage from Southampton, UK to New York City, USA. Postcard US-2542374 to Portugal shows that Titanic was leaving Southampton on April 10, 1912 as the last mooring line connecting Titanic to port was cast off. 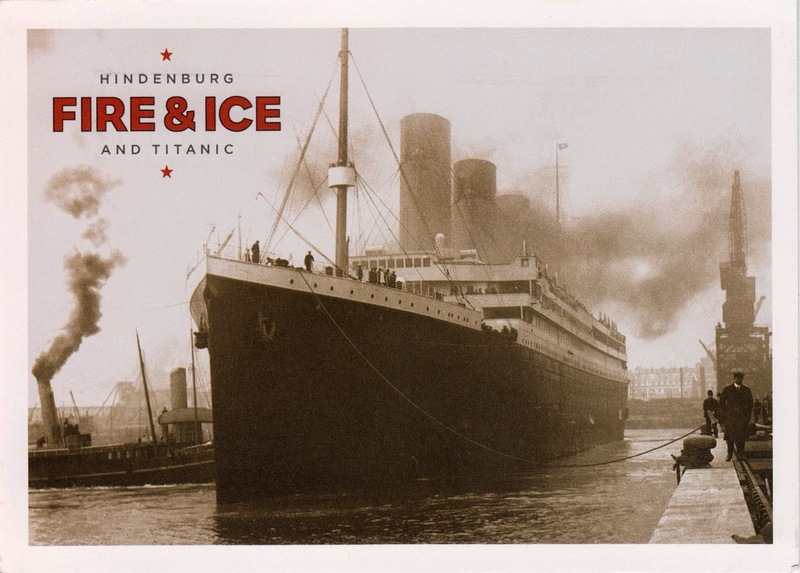 The postcard was obtained from the exhibition "Fire & Ice: Hindenburg and Titanic" at the National Postal Museum in Washington D.C. The exhibition, concluded on January 6, 2014, examined the less known heroic story of Titanic's mail clerks and featured a remarkable underwater footage of the ship's mail room. Labels: 1912, anniversary, artifact, exhibition, Fire and Ice, footage, mail room, National Postal Museum, post office, postcard, PostCrossing, sent, Titanic, underwater, US-2542374, Washington D.C.